Juliana Swatko's approach to photography is informed by her training in other fine arts media and, as a consequence, her work explores a range of experimental possibilities and alternative photographic processes. For instance, the chemical changes exploited during image-making reflect, metaphorically, Swatko's way of seeing - less interested in the actuality of objects than in their poetic, evocative potential. She sees similarities between her processes and how things in the world might encapsulate other ideas or experiences. 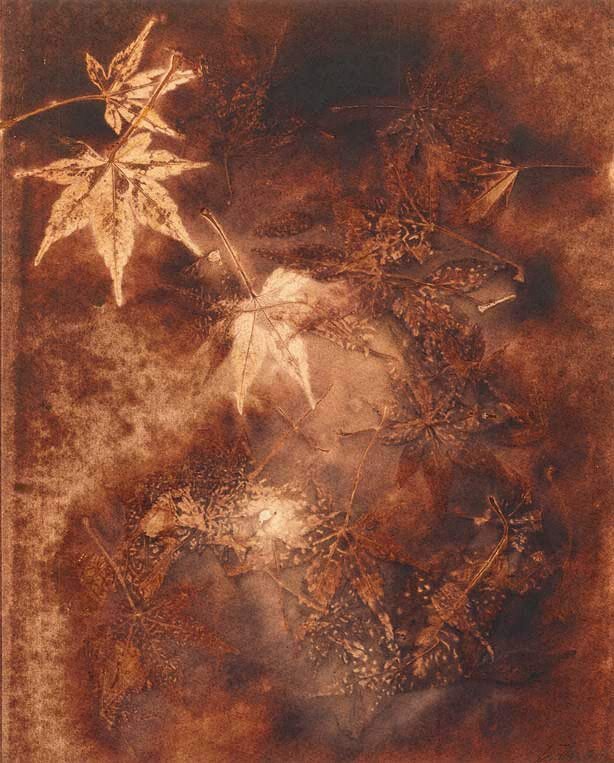 This photograph is a large format contact print which is the result of a photographic transfer between ultraviolet light sensitive paper, thermographic processes and, in this case, flowers, grasses and foliage. Under pressure, the transfer produced is the combined reaction of differing material densities, heat and pressure. Signed and dated l.r. image, pencil "J Swatko 1981".